← 74,813. Nice. Let’s see where that puts me… What? Seriously!? Only wrote 1477 of a planned 2500 today. I blame really tasty thai dinners that unexpectedly pop out of nowhere when neighbours bang on the door saying they’re hungry and going out, and would we both like to come along? Can’t complain too much when the massaman curry is sweet, the fried rice is… well, there (it’s fried rice, it doesn’t need to do anything else for me to want to eat it), it’s BYO, and the US craft beers are having free tastings across at the bottle-o. 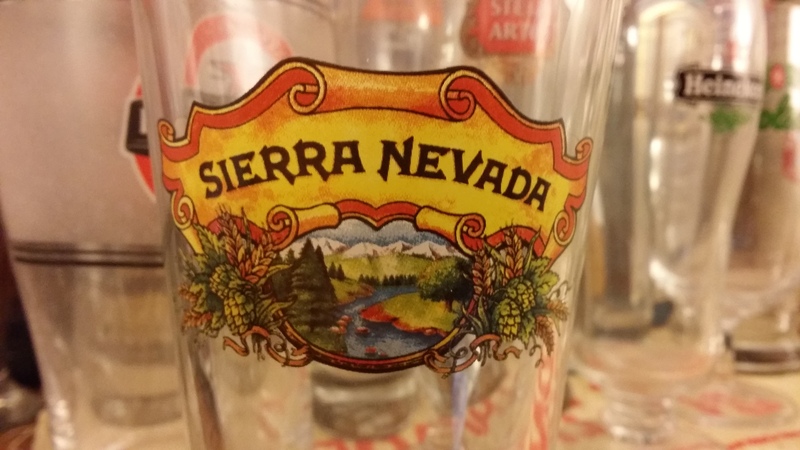 A Sierra Nevada hefeweisen, IPA, pale ale, porter, and a stout before dinner, with a free glass to take home? Don’t mind if I do. At least the words that did get done got done with a purpose – knocking over one missing scene from start to finish. Will recalculate my word goals tomorrow. So following on from my very unexpected, but awesome evening, how often do you try to dump your characters in a surprising situation? Ever hit them with a happy surprise? This entry was posted in Writing and tagged American Craft Beer, beer, fiction, goals, hefeweizen, IPA, pale ale, porter, stout, thai food, Writing. Bookmark the permalink.